In a Nutshell: Managing money is easier than ever with the array of finance apps available to consumers these days. Truebill stands apart from the pack with its approach to helping identify those forgotten subscriptions services that are still cutting into your budget each month. It also provides a convenient snapshot of all your finances at a glance. Truebill also offers a handy concierge service where a Truebill employee will actually cancel unwanted subscriptions for you and also negotiate lower rates or uncover promotions and other discounts. With a C-Suite made up of three brothers, the San Francisco-based company combines elements of a family business with startup culture. Having the ability to sign up for a new gym membership or an audiobook service with the click of a few buttons is incredibly valuable. But, if you’re like me, some of those services end up going unused while the recurring bill is deducted from my bank account each month. Sometimes, it feels like the convenience of acquiring services in a flash can be more of a burden as I juggle passwords, forget about subscriptions, or just never quite get around to canceling that 30-day trial offer. The cost of those unused services can add up and impact overall budgeting plans. And, of course, missed payments can lead to late fees and eventually impact credit scores. Luckily, Truebill is here to help. 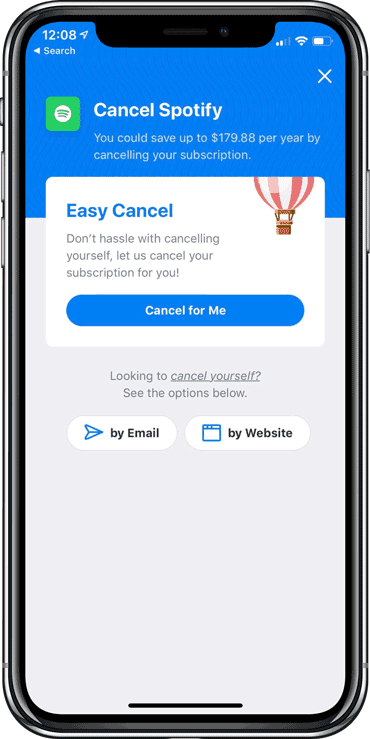 The convenient app takes away the burden of managing all those subscriptions by identifying unused or forgotten services, optimizing spending, and even helping users lower their bills. The idea for Truebill was born out of the desire for a way to help organize finances. Haroon partnered with his brothers Yahya and Idris to develop the app in 2016 and took the product to the startup accelerator Y Combinator, “and the rest is history,” Haroon said. Haroon said Truebill is intended to help people take control of their money and their finances with a few key components at the forefront. The app can also show all recurring spending separately, he said. Users can see their recurring bills in a number of ways, including in a calendar view, alphabetically, or by the card it is on. Truebill also lets users know which bills are coming up so they won’t miss out on paying them. 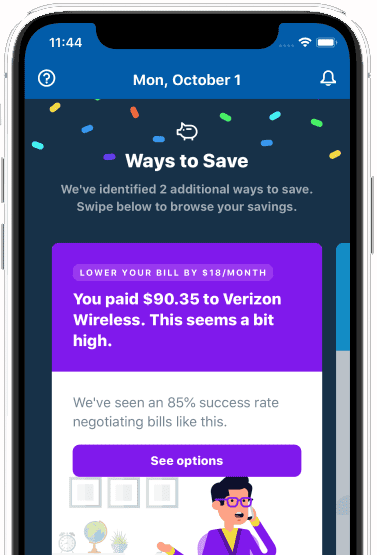 According to the Truebill website, the company has helped users save more than $14 million through its services. These days, security is a top priority for many users and Haroon said the company takes data security extremely seriously. “We’ve invested heavily in making sure our platform uses the most up-to-date industry protocols for storing your data, including bank-level 256-bit encryption,” according to the website. Users are asked to provide their bank account information when they sign up for Truebill, but the data never touches Truebill’s servers and is never stored. Haroon said Truebill stands apart from many of its peers because it never sells any customer data. Other companies may anonymize data and provide it to hedge funds or other financial services, but he said as a company policy Truebill only wants to make money by adding value for its customers. Truebill takes its offerings to the next level with its concierge service. Truebill users can simply cancel those services with the tap of a button. Users can gain access to premium features like Truebill’s concierge service for $3 per month. With its TrueProtect feature, the company can also negotiate lower bills for you which works on a 40% success fee. This also includes applying promotional discounts or deducting charges during outages, downed coverage, and other issues that arise. 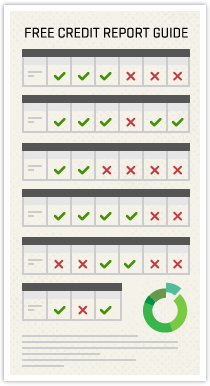 From the user point of view, this all happens with the push of a button on the Truebill dashboard. But, behind the scenes, Truebill employs trained negotiators who are doing all the hard work of calling and canceling, negotiating, and — last but certainly not least — waiting on hold. The company also offers a Smart Savings feature where users can set up an automated savings plan. To access Truebill’s premium features, Haroon said users can pay as little as $3 per month or $36 per year. But they have the option to pay more if they are interested in giving added support to the company. The Mokhtarzada brothers are no strangers to working together or to being successful entrepreneurs. Haroon, Idris, and their other brother, Zeki, launched Freewebs, a web hosting and web building service in 2001 that enabled a broader audience to create websites. The brothers sold the company (rebranded as Webs by that time) to Vistaprint for $117.5 million. Haroon said he and his brothers have a great relationship and he enjoys working with them at Truebill. In this latest venture, Idris serves as the CTO while Yahya is the CRO. 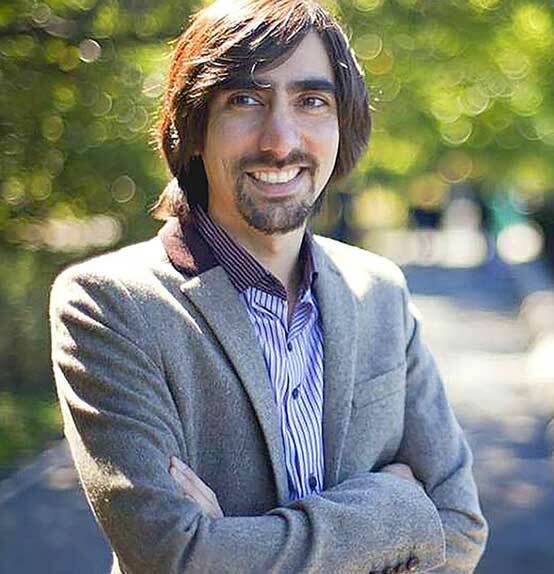 Haroon Mokhtarzada is the CEO of Truebill, and Co-Founder of the company, along with his brothers Yahya and Idris. “It’s nice to work with people I can trust but also feel comfortable pushing back on decisions when it’s necessary,” Haroon said. But Truebill isn’t what one might envision when you think of a family business. Or perhaps, it’s the modern take on a family business. Based in San Francisco, Truebill also embodies the techy startup culture of its peers in the area. He said that although Truebill’s headquarters are in San Francisco, the company has employees throughout the country. He said they primarily keep in touch via Slack, and as most people who have used the messaging app could likely attest, work and jokes are often closely intertwined. “There’s a lot of comedy throughout the workday that ends up on Slack,” he said. And, although Haroon is the CEO, he still spends several hours a week doing customer support. He said it’s important to keep a close connection to the company’s user base whose feedback helps to guide the leadership team in important decisions. “The mission of the company is to meaningfully improve the financial health of millions of people, and we are on that journey,” he said. Haroon said his company’s team is constantly evaluating its services and working to add new features. Ultimately, he hopes Truebill can become a one-stop shop for all of its customers’ financial needs. To that end, he said Truebill will be rolling out a bill pay service in the coming months. Rather than have to pay directly through their bank account, Truebill will connect directly to the vendor’s site and users will be able to choose any payment they prefer and make payments instantly.